So, you’re a business owner? Do you take your marketing related decisions on your own? Or you are solely relying on the will of your marketer? The answers to these questions may determine how effectively your marketing campaigns turn out. Many small-scale businesses have a one-man-crew that manages almost all the aspects of their workflow for them, including marketing. It is very important for such business owners (and everyone in general) to be aware of the basic fundamentals of marketing in the digital world to make the best use of their resources. After a great response to Dikonia’s previous blog on 5 Digital Marketing Tactics You Should Try Today, we felt the need to pick up from where we left and elaborate more on the basics of marketing. So, in this article, you’d realize the key points that will help you boost your business via marketing done right! Every good marketing strategy starts with a sound understanding of what has to be marketed. Before laying out the charts and discussing promotional budgets, you need to ask a few fundamental questions to yourself. What specifically does my business do? What is my stand-alone product? What category does my business fall in? Who will buy my product or seek my service? Why will someone buy my product or seek my service? If you have clear and distinct answers to these questions, you may proceed towards making a marketing strategy for your business. If not, then you need these answers immediately. Here’s how these questions can be answered for Dikonia. My business is to provide web development, mobile app development, and digital marketing services. Digital Marketing is my stand-alone product. What category does my business fall into? My business falls into the B2B category. Entrepreneurs or start-ups looking for web development, mobile app development, and digital marketing services will buy my product. My service and product are buyable because I provide a comprehensible return-on-investment and I do in accordance with the top-of-the-lot quality standards. After reading these answers, you must have got a fair idea as to what business comprehension means. I know about my business well enough and therefore I can explain it to you in single-sentence answers. This fact keeps me on track with my marketing strategies as I can figure what will work for me and how to market it! Offering something of inherent value to your audience can take your marketing game to a whole new level. Look at Google. It is not a single thing anymore. It is a whole package of tools, guides, and resources for everyone on the internet, and the fact keeps bringing people back to it, regardless of everything. I have summarized some of the Free tools from Google that you can use to improve your business as well. Go give it a read! In the same way, you can come up with valuable content, a tool or a service that attracts people towards you. The more people you attract, the better you’d be able to market your business to them. How to serve something of value to your audience? Create content that addresses the most common problems faced by your audience. This will give your business a clear-cut way to land before the eyes of your potential customers. It’ll also help you develop a sense of bonding between the business and the user. Make How-to articles, videos, infographics for your audience based on your niche. It’s okay to share some secrets with your audience. It generates trust among the masses and increases the chances of your marketing efforts to prove fruitful. If I get to read a mind-blowing article on Digital Marketing from a company blog, I’ll really want them to work for me, wouldn’t I? Provide a tool or an asset to your readers that serves them a simple purpose. A good example of this is PDF downloads. Make a compilation of your best blogs/seminars/guidelines and publish them in the form of PDFs, that you can offer to your email subscribers. Be a personalized informational resource and offer advice, tips, tricks for your readers. 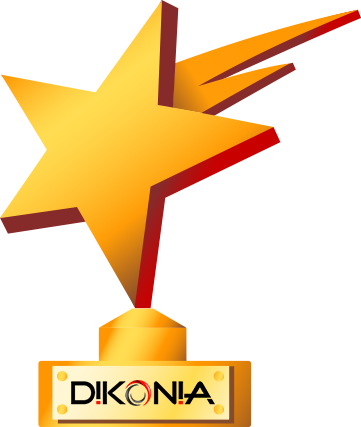 We at Dikonia are constantly doing this via our bogs, infographics and social media posts to keep you ahead of others. PS – You can subscribe to our mailing list to receive constant updates about weekly blogs. Social Media has an awesome scope for marketers but it has to be used wisely enough. A poor approach towards social media can really prick in the eyes of your followers. To make this more clear, we have made the following infographic about the Platform-Specific Benefits of Social Media. By now, you know that not all social media platforms are made the same way and not all of them can be leveraged with the same marketing strategy either. Let’s take Facebook, for example, research tells us that Facebook is not a great option when it comes to direct sales, rather it is useful to build a community around your brand and keep people interested in the latest updates. A big number of Facebook likes may not get you a big number of conversions on your website, but yes it will help you maintain a strong image as a brand and retain your loyal customers. Did you know that, “96% of the people that discuss brands online do not follow those brands’ owned profiles.” (Source: Brandwatch). This statistic tells us that even being there out there open to everyone doesn’t necessarily mean that you’d be noticed. Which is why your marketing strategy should be very focussed. Marketing mission seems like a big agenda but in its essence, it is a very generic term. Marketers these days don’t pay attention to what exactly they want to achieve with their marketing campaign but rather focus only on the type of conversion it brings. Let’s consider yourself to be a Digital Marketing Agency working on an email list building campaign. You need to collect email addresses of people so that you can utilize them for remarketing strategies. You run your campaign and end-up with a thousand email addresses. You are pretty happy about it as your campaign actually brought you conversions but later you realise that all of the people who had signed up are not your target audience. If you’re a Life Insurance Company, you may not want high-school students to sign-up but rather, people in their 30’s or so. This catch is that you should be able to look through towards your ultimate target. For a sample marketing campaign intended to sell a product or get a subscription for a service, the key focus is to “make sales” and sales would only pour in when marketed to the right audience. 5. How to create a content strategy? Creating the best content for your marketing campaign is an inevitable factor for its success but even content needs a strategy to magnify its impact on your audience. The following infographic presents the basics to building a content strategy for your business. Be as creative as you can get with your content. The digital world is overflowing with ordinary content, you need to break the shackles and present something with that breathes an air of freshness for the user. It also has to be compelling to consume and entertaining at the same time. I’d like to mention the Reebok’s 25,915 days campaign that is one of my favorites when it comes to making creative content. Business Awareness is the thing that you learned in the previous point. It involves comprehending your business in a sound way and pressing on the key aspects that are necessary for your campaign’s success. A good strategist is a great observer first. You need to analyse your audience, their interests and the characteristics of your business in great depths before coming up with a content idea. After all the hardwork, implementation will be the key. Go for social platforms that are good for you (refer point 2), may be spend a little to get yourself noticed or reach out to the top influencers in your niche. Make the best efforts to let yourself heard! A popular study showed that after noticing something for 7 times do people really make up their mind to buy it. This bizarre statistic explains why you need to remarket your content a number of times to ensure its success. The following image shows the effect on direct traffic after remarketing. 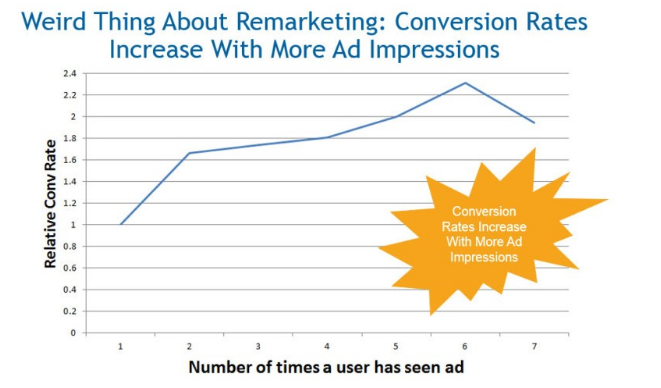 To emphasize even more on remarketing, I have written an informative blog post on Leveraging the power of remarketing to obtain a 5X boost that you should definitely read right now, to know more about remarketing. You’ve seen it with your eyes that marketing is no one-man-army’s job. It needs a dedicated team of professionals who know their work the best. This point doesn’t strike to most of the businesses until it’s too late. Teams with a small number of members try to get the most out of their human resource by getting a few people to do a lot of things, which ultimately doesn’t get a single thing right. Which is why you should consider outsourcing the weaker departments of your team to expert service providers. The modern technology of 21st century enables you to outsource anything you like, may it be content writing (really important), SEO, designing visual content or the whole campaign as matter of fact. This will ensure that you are not compromising on anything in your campaign and the results will prove this to you. I have talked about Outsourcing Your Business Requirements in even more detail in this article. 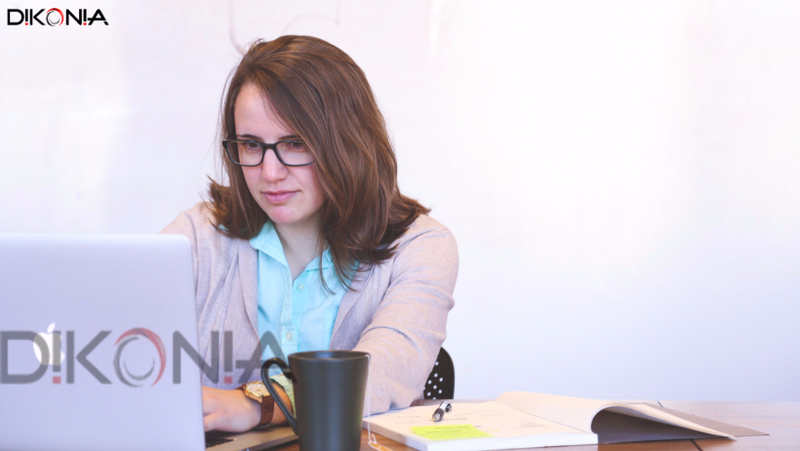 At the heart of this article lies Dikonia itself, the top digital marketing agency in India, which acts as a business process outsourcer for so many international clients to get them a technical advantage and achieve their goals in a much better way.